Foxconn said on Tuesday that it is still looking to fill more than 50,000 job vacancies in the Chinese mainland in the first quarter of this year. As the major supplier of Apple Inc, the company has laid off 50,000 contract workers at its iPhone plant in Zhengzhou, capital of Central China's Henan Province, since October 2018, media reports said. Foxconn continues to advance the transformation and upgrading of the smart manufacturing sector and focus on nurturing workers and helping them improve their skills, read a note the company sent to the Global Times on Tuesday. 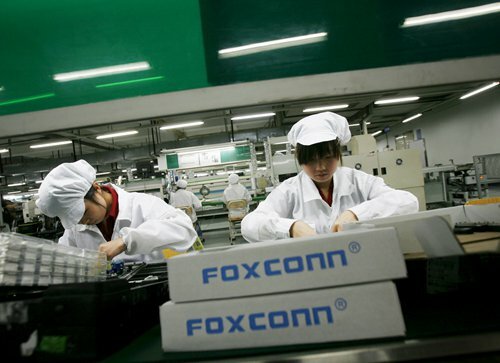 The allocation of employees among various sectors is standard operating procedure, and Foxconn now plans to hire more than 50,000 people in the mainland in the first quarter of 2019. Ning Jizhe, head of the National Bureau of Statistics, said on Monday that more companies in the services and manufacturing sectors are entering China, and it is normal for foreign capital to enter or withdraw from the market. Multinationals' adjustment of their global operations will naturally lead to job shifts and reemployment, according to Ning.